Today is release day for the final book in the Flawed series! 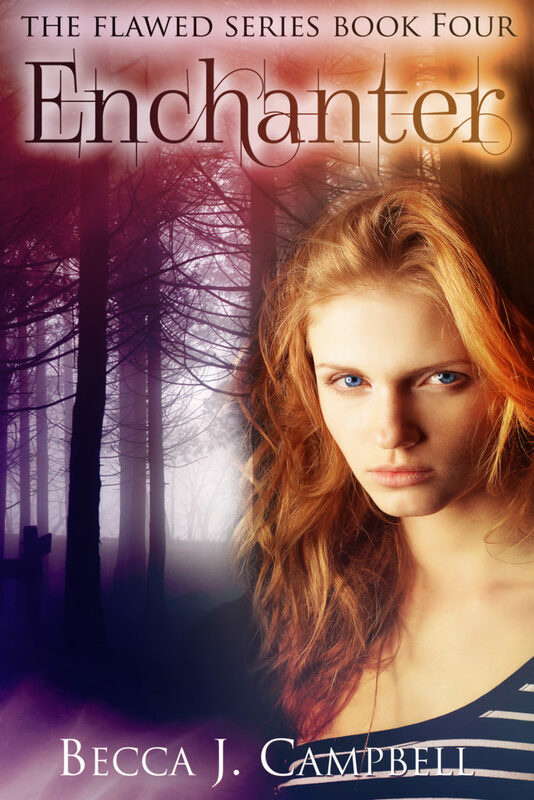 Enchanter (Flawed #4) is now available at a steep discount, so grab it while the price is low! Violet can make anyone obey her. And she wants revenge. After a series of abductions, Jade just wants to enjoy life with her boyfriend, Logan. But her empathic flaw has morphed into something even worse. Now her emotions are affecting everyone nearby, making her a dangerous force. Jade’s volatile emotions and Logan’s super-strength make a deadly mix. Meanwhile, Violet, a woman from Logan’s past, has turned from infatuated colleague to jealous stalker. After recovering from an injury, she develops the power to control minds. Now Violet is finally able to get anything—and anyone—she wants. While Jade is dealing with her escaping emotions, she meets fellow English major Graham. He is the only one who knows what Violet is truly capable of. Jade enlists his help to in trying to save Logan from Violet’s clutches. But can they stop Violet before she puts them under her spell? This fourth and final installment in the Flawed series once again pulls together a crew of friends with unique abilities. This time they must face the fury of a vengeful enchantress. If you enjoy thrilling suspense with supernatural powers, download this book today. 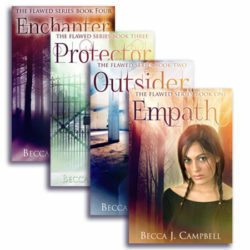 For the first time, I’m giving away a full set of autographed paperbacks of the Flawed Series. Enter below! This entry was posted in Books, My Works and tagged amreading, book, book sale, books, ebook, ebooks, empath, Enchanter, Flawed series, Giveaway, Jade Edwards, Kindle Unlimited, Logan Henry, Magical Realism, NA, New Adult, Outsider, Paranormal Romance, Protector, suspense, thriller, urban fantasy, win. Bookmark the permalink.